To select more jigsaw puzzles to play there are two places to navigate to. The first is the Jigsaw Puzzle Home Page which can be found by clicking on the jigsaw icon at the top of any Samgine page. 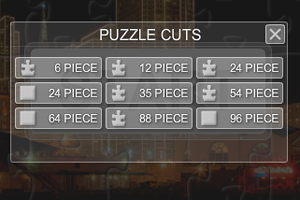 This page contains a Flash presentation of the 8 most recently published puzzles. Below that is a display of the 8 most popular catogories, each showing two puzzles. The second place to visit is the page that contains all of the puzzles that have been published. This can be found by clicking on the link near the top of the Jigsaw Puzzle home page that says “Free Online Jigsaw Puzzles“. Check back regularly because we plan to publish two new jigsaw puzzles each week. Finally, to learn more about the photographers who contributed to this project check out my blog post about these artists.